A Nation Full of Dreamers: Who inspired you? Today would have been Sally Ride’s 64th birthday. She’s widely known as the first American woman in space, no doubt inspiring millions to dream big and shoot for the stars (literally). Not as widely known is her work on Earth, educating millions of kids in science, especially girls and minorities. As someone who broke barriers, Ride, a physicist, wanted non-traditional STEM (science, technology, engineering and math) students to know that they could succeed in these fields too. 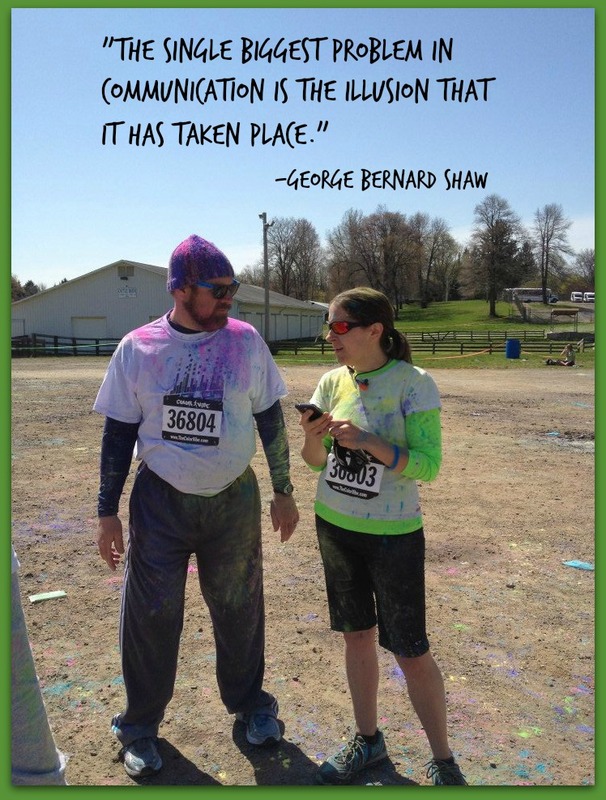 Most of us have someone who inspired us to do what we do. It could be a family friend or well-known individual in your field. We asked CCC Facebook fans what book transported them to a defining moment or event in their life, and Missy Radecki, an RN and Associate Professor of Nursing, gave a tremendous response. That question was inspired by a book I read while in college, A Big Life (in advertising). The author, Mary Wells Lawrence, rose through the ranks in the advertising world and ended up owning her own agency when few women made it past the secretary pool. The Mad Men finale triggered memories of reading this book, which is set during the same era, and encouraged me to pull it from my office book shelves. When I read this book, I was pursuing a degree in advertising, so Lawrence’s message of success hit home. Despite ad agencies still being male-dominated, I knew I could survive and even thrive on Madison Ave, just like she (and Peggy Olson and Joan Holloway) did. It was a bonus when I discovered that Lawrence hails from Ohio, just like yours truly. So thank you, Mary Wells Lawrence, for living your big life (in advertising) and inspiring a fellow Ohioan to follow in your footsteps. Maybe one day I’ll get there. p.s. Another great book by a woman who excelled during the ‘Mad Men’ era of advertising is Mad Women: The Other Side of Life on Madison Avenue in the ’60s and Beyond by Jane Maas. Tagged #smallbiz, #smallbusiness, A Big Life (in advertising), advertising, business woman, businesswoman, dreamers, dreams, Google Doodle, inspiration, inspired by, Jane Maas, Jean-Dominique Bauby, Joan Holloway, mad men, Mad Women: The Other Side of Life on Madison Avenue in the '60s and Beyond, Mary Wells Lawrence, nation full of dreamers, Peggy Olson, Sally Ride, small business, small business owner, The Diving Bell and the Butterfly, who inspired you? We’ve been celebrating all week, and today it’s official. My company, Clearly Conveyed Communications, turns 3 years old. The swag has arrived. How do you like the retro touch? In some ways, it seems like yesterday that I made the leap to start my own company; in others, it seems like a lifetime ago. In 3 short years, CCC has gotten social with first responders, worked with international clients and connected with people the world over. We’ve scratched, clawed, struggled and grown, experienced the highest of highs and the lowest of lows. That’s the life of a small business owner. And small business owners are close to our heart. While we’ve worked with companies of all sizes, we love helping small businesses succeed and realize their hopes and dreams. If you’re a small business owner, drop us a line. We’d love to hear about what you’re doing, so we can help spread the word. We’re grateful to everyone who’s helped spread the word about us and wanted to thank you. Earlier this week, we announced a contest for those who engage with us on social media and are excited to announce the winners! My company, Clearly Conveyed Communications, is turning 3! We're celebrating all week, and you're invited to join us. 🍸 🎉 💃 Head to the CCC blog (link's in my bio) to see how you can win CCC swag and other cool prizes. (Hint: Get social with us!) 👍 💬 📣 How do you like to celebrate? Congratulations to our winners! We’ll be in touch with more information on your prizes. A sincere THANK YOU to everyone who has helped shape CCC in any way, from clients and customers to ardent supporters to close friends who serve as sounding boards. We appreciate you! 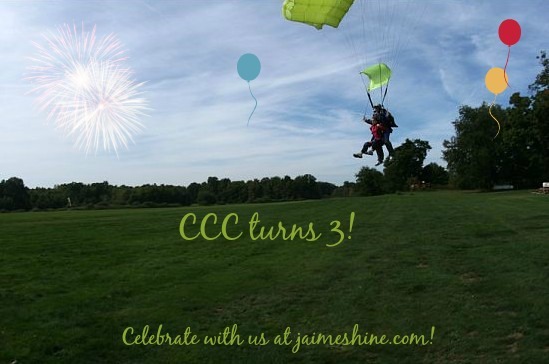 CCC Turns 3, And You’re Invited (To Win)! We’re throwing a party, and you’re invited — to win. Clearly Conveyed Communications is turning 3 this week, and we’re celebrating with our clients, customers, supporters and fans. All week, we’ll be partying (while we work) at the office, so we’re inviting you along for the fun. Follow and engage with us on Facebook, Twitter, Instagram and the blog for your chance to win CCC swag and other cool prizes. The winners will be announced right here on Friday, so stay tuned! While you’re here, kick off your shoes and stay awhile. We’d love to help you with your next marketing, writing or social media project. Let us know your challenges, so we can help you with solutions. Have a question? Ask! To kick your Tuesday up a notch, here’s what we’re dancing to in the office right now. Join us! Now that you’re done dancing, here’s a chance to win. What’s your favorite post (or series) on the CCC blog? Let us know below to be entered to win! p.s. THANK YOU to all of our loyal readers and followers. We love to hear your thoughts and appreciate everyone who likes, comments on and shares our posts to further the conversation. Last night, it hit me: Twitter’s retweet with comment feature is a game-changer. I was excited about it before, even though it didn’t make our Q1 social media updates a few weeks ago. (Ed. Note: It has been added!) But I didn’t grasp how much of an effect it would have. Last night, I was watching my favorite show, Mad Men, while following the #MadMen hashtag. Talking to people all over the world and experiencing a show from other peoples’ points of view while it’s airing takes your experience to another level. (It deepens your emotional connection with the characters and encourages you to watch the show live, but that’s another blog post.) I enjoyed reading others’ tweets and gained a new perspective on some of the characters’ actions and scenes. And that’s when it hit me. I loved seeing people add their own insight to others’ thoughts and contributing to the conversation. While browsing the hashtag stream, I could instantly view a conversation instead of only seeing a reply or straight retweet (because there usually wasn’t room to comment on a retweet before). Previously, you would have to click to view the conversation, interrupting your stream (and experience). Now it’s all right in front of you waiting to be viewed and shared. What’s the big deal? Engagement. As brands (and people), we all want other people to engage with us. That’s why this update is so big. Retweeting a tweet with an added comment increases impressions and engagement, including followers. Check out the analytics on two tweets I retweeted and added a comment to during the show. My reach and engagement is much higher than if I had simply retweeted these tweets, because I was able to add information for my audience. Retweets with comments drive impressions and engagement over straight retweets. I’m not suggesting you only retweet on Twitter, but this phenomenon makes sense. Social media is all about getting social with others no matter how hard we try to prove otherwise. Twitter’s retweet with comment feature allows us to engage with others while adding our own insight. It combines the best of both worlds: engagement and original content. This update is almost as epic as Peggy’s entrance into her new employer last night — drunk, donning shades indoors and enjoying a smoke. 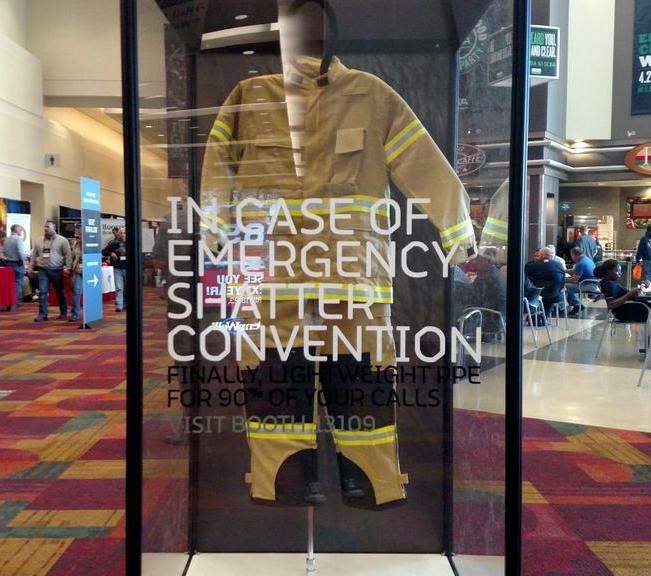 Yet another way to change the conversation…. Have you used the retweet with comment feature? Will this feature encourage you to retweet more? Are you on Twitter more, less or the same as you were a year ago? p.s. We’d love to hear from you on Twitter! Tweet us @jaimeshine with your thoughts on this update, Twitter in general or anything else you have on your mind.